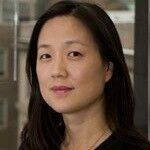 Annette M. Kim is Associate Professor at the University of Southern California’s Price School of Public Policy. She is also the Director of SLAB, the newly formed spatial analysis laboratory that advances the visualization of the social sciences for public service through teaching, research, and public engagement. Her research experiments with critical cartography and spatial ethnography to re-conceptualize contemporary urbanism and find more inclusive and humane ways to design and govern the 21st-century city. Read more.